Breakfast is a time when I don't really have the energy to cook something. Come on I'm just not a morning person. So I love to bake things on Sunday for the week. Muffins, bread, and breakfast cookies and things to freeze for the week. 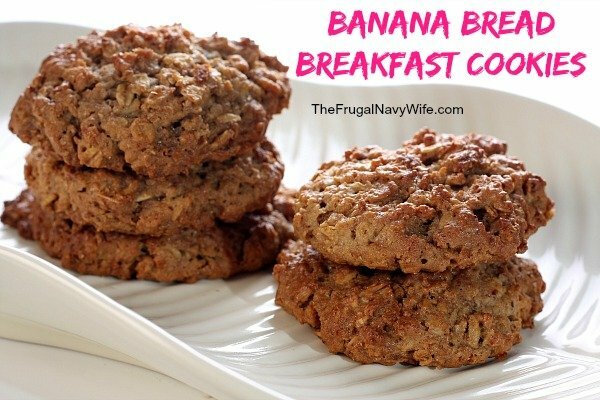 My lack of being a morning person has spawned a huge list of Easy Breakfast Recipes like these banana bread breakfast cookies that are easy to make and many times I can make ahead of time. 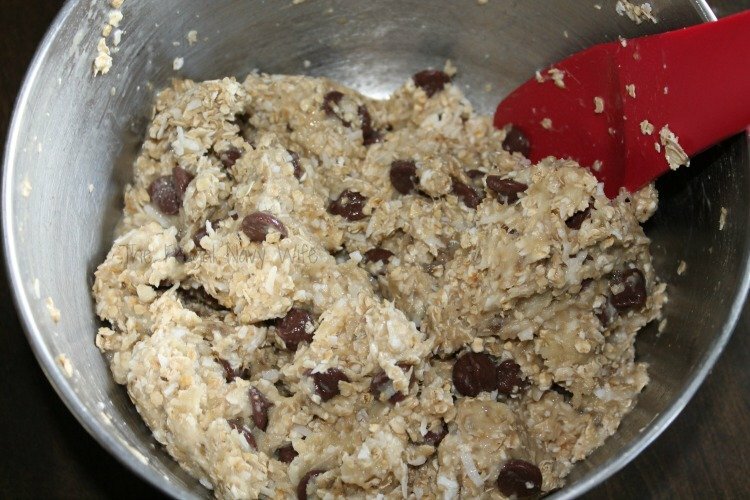 The number one reason I love this recipe this because my kids hear ‘cookie' and think they are getting a big treat for breakfast when I know it's good for them! Lots of great yummy stuff to get their day off right. 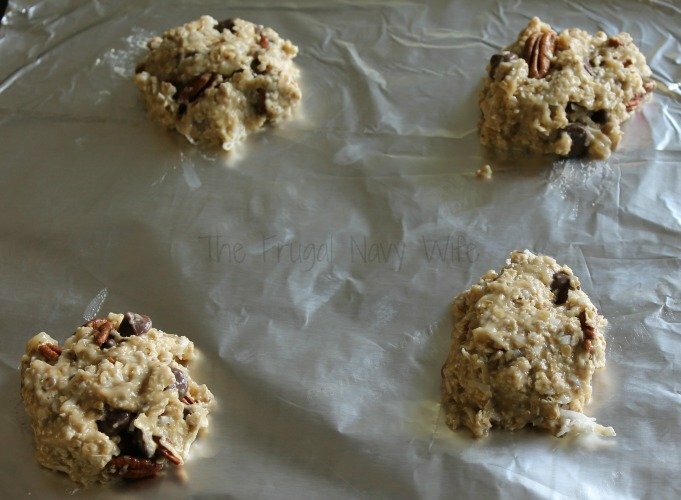 You can change this recipe up to use whatever nuts you want to use and change the chocolate chips for white chocolate chips or even peanut butter chips. Ok here is what you need. Now pay attention this is where is gets super hard. Ya ready? 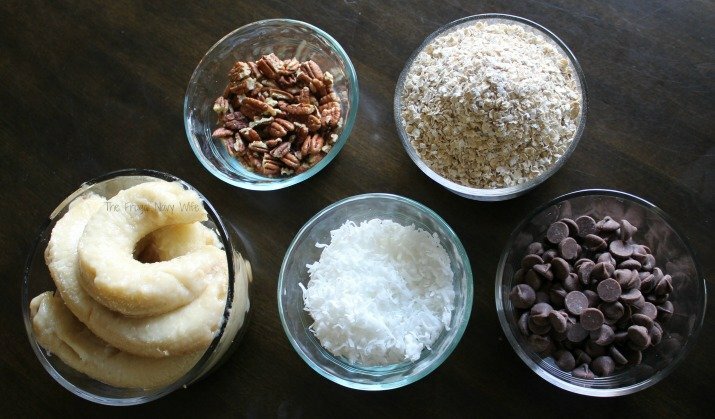 Add all the ingredients to a bowl. Done? Now mix them together…..
Whew! Now that the hard part is over go ahead and line a baking sheet with parchment paper, or grease the baking pan. Then roll the dough into 1 inch around balls (or into your desired shape) and place about an inch apart on the parchment. Next bake at 350 degrees for 15 minutes or until done all the way through. Let cool before eating. There you have it. Super easy recipe make several batches to have a great breakfast for the week! Love this recipe? Check out, even more, Easy Meals you will love. 3 palm fulls chocolate chips yes this is how I measured them! 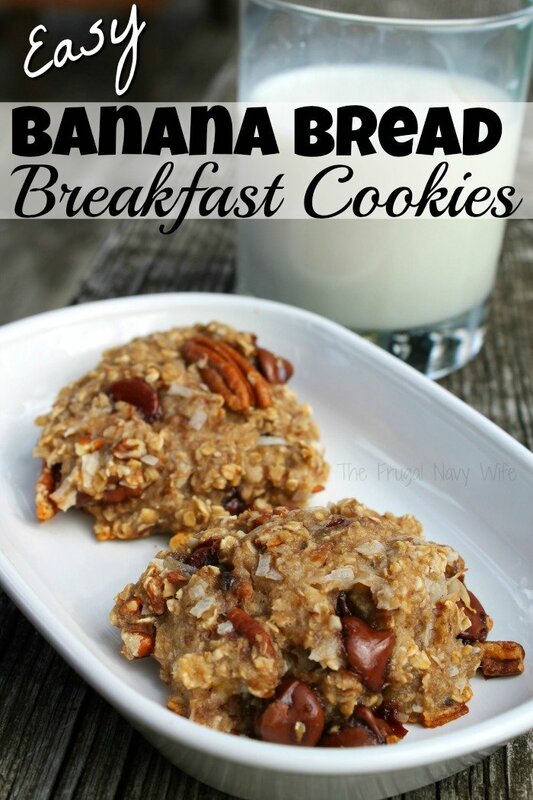 Banana Bread Breakfast Cookies. Breakfast is a time when really I don't have the energy to cook something. Come on I'm just not a morning person. Easy Homemade Dryer Sheets – PS They are Reusable!